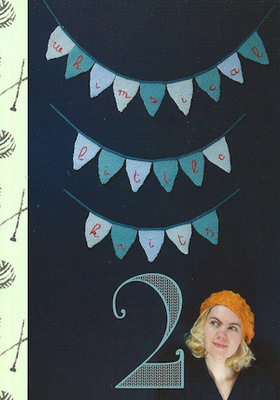 Whimsical Little Knits 2 is the second in a series by Ysolda containing 12 gorgeous patterns. Little things that are fun to knit, use only a small amount of yarn and don’t take long to complete. You’ll find beautiful accessories to keep you and everyone on your gift list warm along with toys and fun things to add a little whimsy to your home.